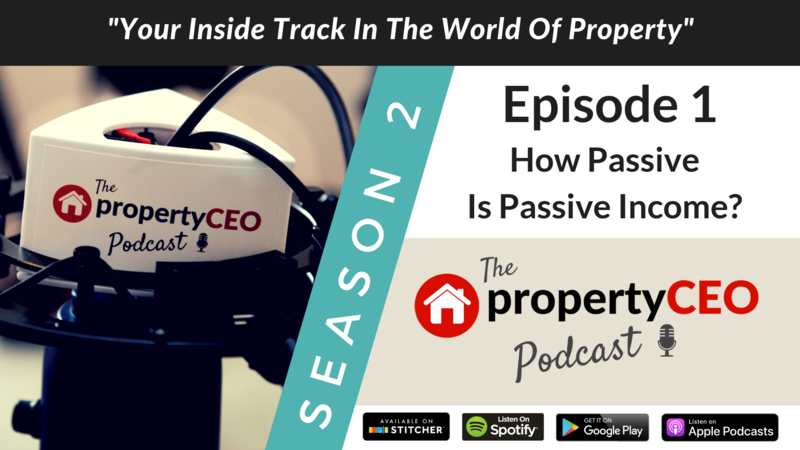 We all like the sound of passive income, and it’s one of the major attractions of the property world. But exactly how passive is it in reality? Here Ian Child from propertyCEO takes a look at each of the main project strategies and gives us a flavour of how much work is really involved with each, and how you can go about finding out for yourself how much work is involved before you commit to your own strategy. There’s also some fighting talk about driving; we briefly encounter an elderly lady in a Volkswagen and we learn why Ritchie is no longer welcome in one of his favourite restaurants. If you like what you’ve heard please subscribe so we can send you a totally pain-free alert each time the latest episode becomes available.